Pundits and spin doctors will be arguing for years over who won the presidential debate (obviously it was Obama), but when it comes to presidential pajamas, there is simply no contest. Ojamas wins by default. 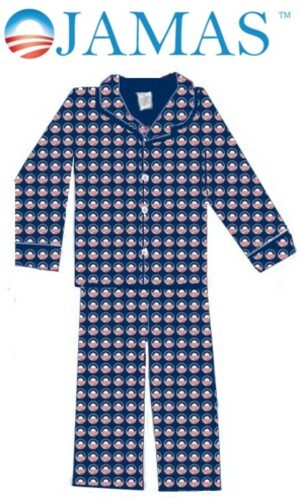 Ever seen any Lincoln Pajamas? How about Jefferson? Reagan? Nope, only Obama Pajamas can make that claim. Silly? Well, we prefer to think of it as fun-loving, but the comfort, quality, and design of these 100% brushed cotton sleepers make them a serious contender for the best promotional item of this election season. If you want to get them in time for the election, get your order in now. They also make great Christmas gifts!